Melissa is wearing the Kandinsky Pencil Dress in BLACK/red & the Carmen Jacket in BLACK CHECK/red. This sleek Kandinsky Pencil Dress delivers the elegance of a tailored silhouette with the comfort and fit of a sturdy ponte knit. Also available in BLACK/aqua, BLACK/grey and BLACK/black. The Carmen Jacket is streamlined and divinely simple with a built up neckline, nipped in waist and contrast piping detailing. Seen here in a wool/viscose. We’ve also added some flower brooches to made an impact for that special occasion. 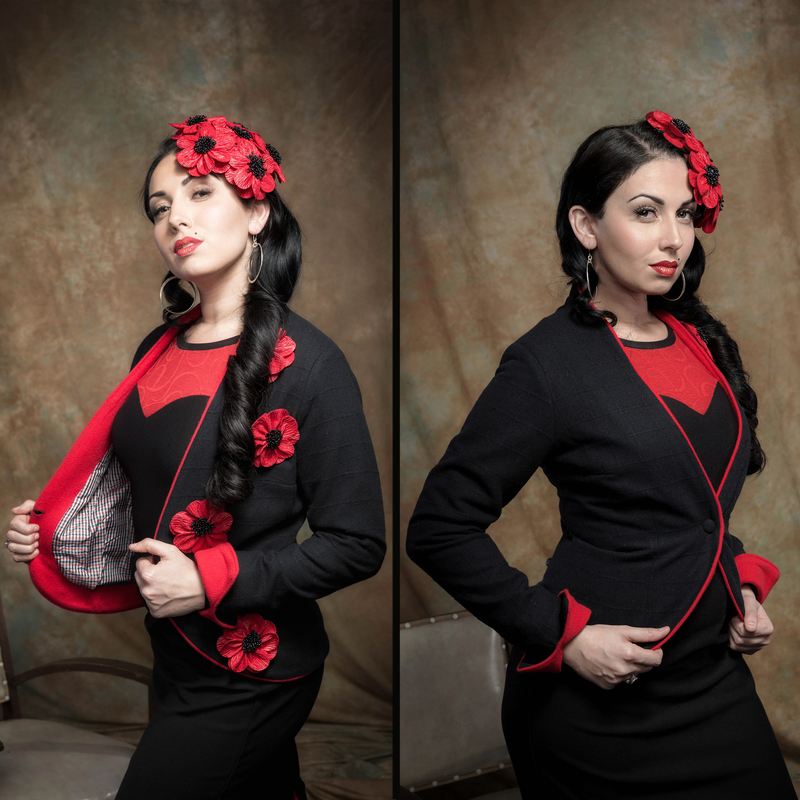 This Carmen Jacket will also match back with the Fantail Skirt in the same BLACK CHECK/red colour combo.